Kennametal, a global industrial technology leader catering to the aerospace, earthworks, energy, general engineering and transportation sector, has introduced KBH10, a new breed of polycrystalline cubic boron nitride (PcBN) hard turning insert designed specifically for the challenges of today’s demanding market place. KBH10 is an uncoated PcBN turning insert that offers exceptional wear resistance and very low cutting forces. As a result, many customers are now enjoying double the tool life together with improved part quality. 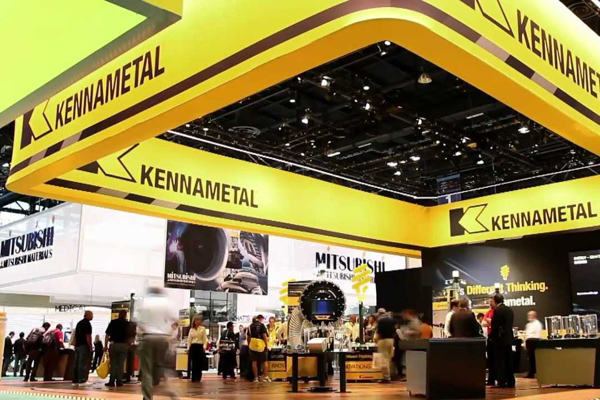 It boasts an unique shape edge preparation that resists crater and flank wear while reducing vibration, even in interrupted cuts, said a statement from Kennametal. Hard turning has been used for decades to streamline and in many cases eliminate cylindrical grinding operations, it stated. Helmut Gremer, senior engineer for global machining technology, said the new insert complements Kennametal’s existing PcBN grades KBH20 and KB5630 by providing the extreme wear resistance needed to successfully turn hardened metals up to 65Rc, especially where very fine surface finishes are required. “We’ve seen that many manufacturers are decreasing the allowable tolerances on bearing journals, rings and pistons, gear hubs, and so on,” he explained. “For example, dimensional tolerances of < 4 µm or less are increasingly common, as are surface requirements better than Ra < 0,4 µm. This new grade closes the gap for these and other customers that need superior tool life when finishing such parts,” he added. The KBH10 substrate is completely new. Its PcBN composition is designed for up to 20-per cent higher cutting speeds while providing equivalent or in some cases far greater tool life. Kennametal engineers were frequently able to achieve Ra 0.2 and Rz 1surface roughness, while consistently maintaining the profile and dimensional tolerances noted earlier. And because KBH10 is available in several different geometries and edge preparations, it’s quickly becoming the go-to insert for a wide cross section of manufacturers and their turning applications, said Gremer. "KBH10 is ideally suited for fine-finishing operations yet is tough enough to handle light interruptions or varying depth of cut operations," noted the top official.